This crop resp. 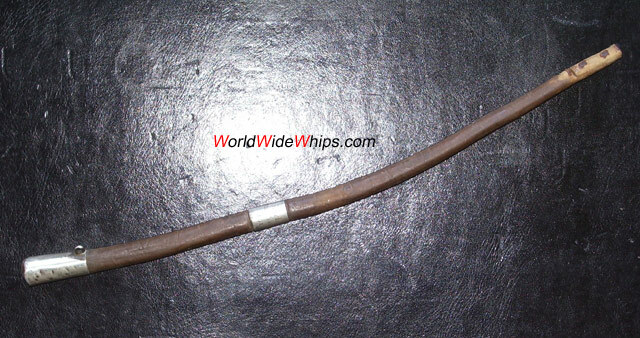 its remains are in fact a very small sjambok. Like its big cousins it is carved of a single piece of massive hide. It must have taken a lot. 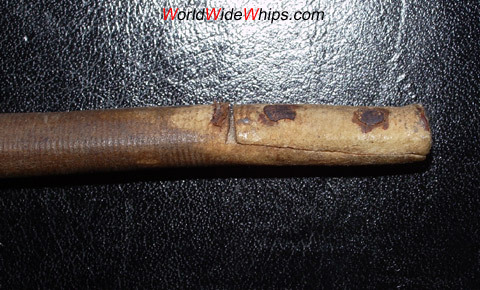 After geting broken the first time it has been repaired by cutting a splice and fixing with two pins and a (lost) whipping of strong twine or sinew. 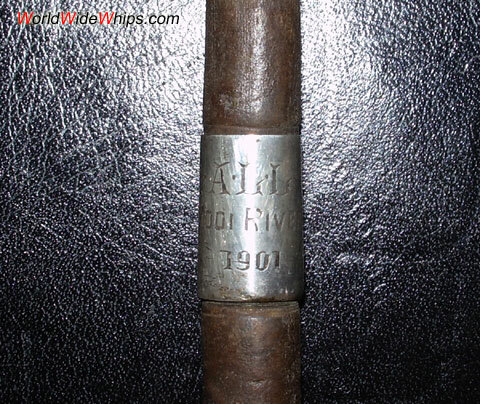 Unfortunately it broke again, the handle remained with silver cap and collar, the latter engraved with ".A.L.L. Mooi River 1901"